Our 2019 Conference is coming together well and we will be opening REGISTRATION at District Assembly. The info here gives you a taster of what to expect and you can be sure that there will be more detail as soon as possible. Llandudno is our most popular venue for conference and we advise booking your hotel accommodation soon if you haven't already done so. If you want to stay there all rooms need to be booked through the Conference Team. Jean Parker is looking after this for the team and her contact details and a simple booking form can be found from the the right side menu. Bookings are open now and a standard double/twin room costs £185 for dinner, bed and breakfast for two people per night. Information about other room options are on our Frequently Asked Questions page, just click on the question about the HQ hotel. 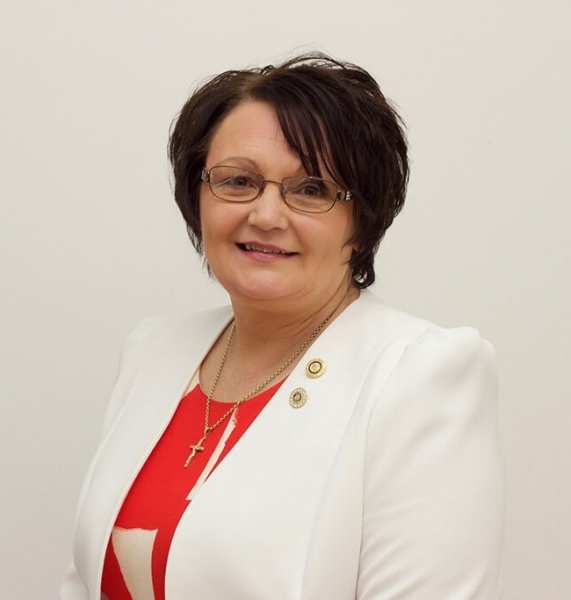 Donna, who runs an award-winning hair salon in Brynmawr, will take over as president of Rotary in Great Britain and Ireland on 1st July 2019. 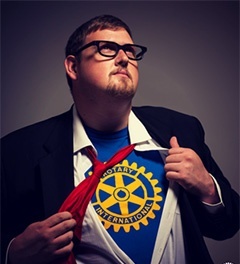 "In Rotary I get around. At the 2014 Rotary convention in Sydney, Australia, you may have seen me walking around holding a long stick with my phone attached, taking hundreds of “Service Above Selfies” with Rotaractors, Rotarians, and convention entertainers. Or you may have run into me immunizing children against polio in India, or mingling with Rotary leaders in Evanston as a member of a number of RI Committees like Rotaract/Interact Committee and the Communications Committee. You may have even seen a youtube video of me teaching 2013-14 RI President Ron Burton how to dance to Korean singer Psy’s “Gangnam Style” at a Rotary Foundation dinner. I proves that Rotary isn’t all business. My message is “Let’s have fun in Rotary” and it’s with this message that has me engaged in telling Rotary’s digital story." Rachel Holliday opened Calderwood House to provide innovative solutions to rising homelessness and unemployment. It was her belief that with the right support and opportunities anyone can become a valued member of society once again. Rachel was born in Whitehaven, Cumbria and after experiencing homelessness herself in her teens, spent many years working hard to move out of poverty and create a better life. 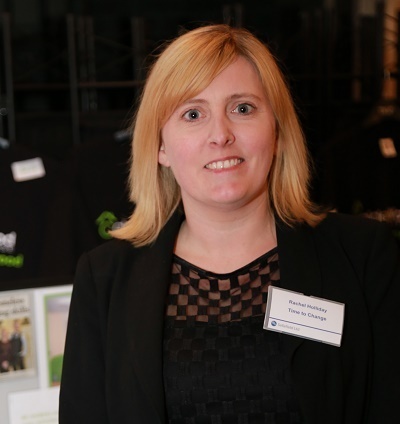 In 2013 she set up Time to Change (West Cumbria) to tackle the issue of homelessness and unemployment in West Cumbria. Rachel explains, "We actively challenge stigma associated with homelessness and I am living proof that investment and support for homelessness works. In 2015 we opened Calderwood House, Egremont. Offering a hand up not a hand out; not only shelter and safety, but life skills, paid work and most importantly a new beginning to become a valued member of society once again. With 11 rooms of en-suite accommodation, the aim is that residents move on to independent accommodation within 3 months. Working with private and social landlords to ensure our residents secure permanent accommodation before they leave, Calderwood House provides a safe place to accommodate our growing homeless population in Copeland. The model is self-sustainable, designed to generate income and create employment for our residents. Only 5% of our income is from grant funding, for the rest we are reliant on a mixture of rent, social enterprise, fundraising and sponsorship. Each room has a sponsorship package of £1000 per year, we encourage sponsors to engage with residents, offer work experience placements and hold fundraising events to promote awareness of homelessness within their organisations. We make and sell our own coffee with a coffee van to allow businesses, festivals or events to enjoy our coffee for themselves. Each year we hold a fundraising event to allow our ex-residents and supporters to share their stories and of course raise more money! 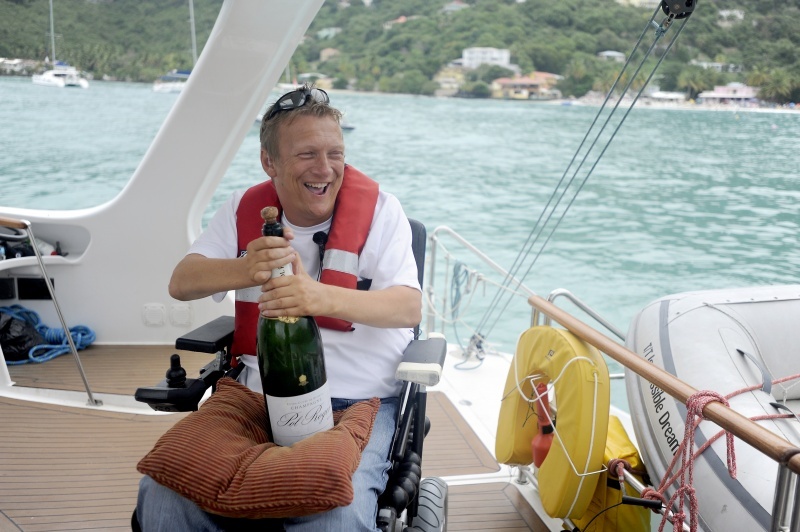 Geoff became an inspiration to millions around the world first when he completed his ’Personal Everest’ challenge by sailing 1,445 miles, solo, around Great Britain in a fragile 15-foot dinghy and again in 2009/10 when he captivated audiences around the globe with his arrival in Tortola at the helm of ‘Impossible Dream’ having sailed unassisted across the Atlantic. He has faced and overcome adversity, challenged limits and inspires others to adopt a positive attitude no matter what challenges they face. With his life experience and commercial background in marketing, Geoff has proven to be an asset to any event, delivering a thought provoking and extremely moving presentations. Geoff has spoken to many different audiences in a variety of situations and venues. His natural modest charm and engaging manner coupled to the incredible challenges he has overcome make for compelling listening and a great source of motivation and inspiration.? The 1950’s Americana rock n roll revolution was spearheaded by Frankie, Nick, Tommy and Bob, The original Four Seasons! America’s answer to the British pop invasion, Frankie and the boys created some of the greatest rock n roll songs of a generation. Pumping out classics such as Big Girls Don’t Cry, Sherry, Can’t Take My Eyes Off You and many many more. Walk Like A Man is the ultimate celebration of the band that gave us this musical legacy and showcases not only their individual vocal harmony style, but also their slick dance moves. WALK LIKE A MAN takes you back in time on a musical journey through the incredible career of Frankie Valli & The Four Seasons, now immortalised in the multi-award winning show Jersey Boys, which has been packing theatres worldwide since it’s debut in 2005. Valli’s unmistakable voice dominated the airwaves for more than two decades with classics such as Sherry, Let’s Hang On, Big Girls Don’t Cry, Can’t Take My Eyes Off You, My Eyes Adored You, December 63 (Oh What A Night), Bye Bye Baby, Who Loves You and many, many more. 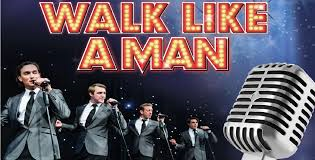 With a repertoire which needs no introduction, WALK LIKE A MAN combines infectious personalities, amazing vocals, slick harmonies and even slicker dance moves to deliver a show full of energy and nostalgia which always leaves audiences wanting more! All your questions answered, hopefully!